My name is Laura, and I’m in my twenties. 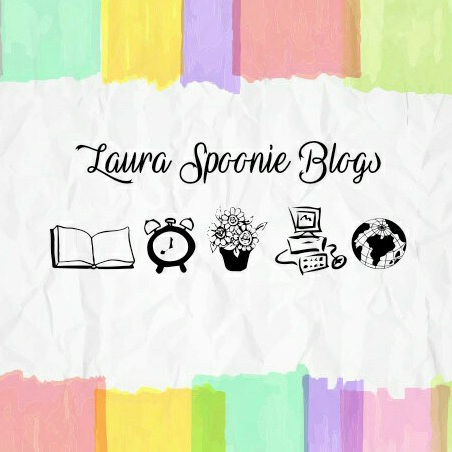 Laura = middle name, Spoonie = Someone with a Chronic illness, physical and/or mental. I previously worked as a youth sessional worker at a charity called Young Carers Project – I wrote a blog about this HERE The charity is for children ages 5-18, who care for family members with physical and/or mental illnesses. I haven’t been able to go into work since October 2018 when I had a panic attack and was in awful chronic pain during work, my manager is very understanding about my health and situation. A few of my hobbies include drawing, painting, listening to music, taking pictures and sitting amongst nature whenever I get the chance to venture out from my four walls. I suffer from multiple Chronic illnesses; Fibromyalgia, CRPS, Asthma, Irritable Bowel Syndrome, Tinnitus, Joint Hypermobility… undergoing tests for any other possible illnesses. I haven’t spoken about or explained every single one of my illnesses are but to sum it up it’s basically all PAIN… A PAIN IN THE EVERYWHERE!! I became aware of my chronic depression as a young teenager, I didn’t really think anything of it as it’s something I had battled for the most part of my existence, only I just wasn’t aware of the name or what it was that I experienced. I had developed coping mechanisms throughout the years growing up, unhealthy ones but they were mine and what helped me push through although I wanted nothing more than to end it all. Since starting this blog in June 2018 my goal has been to continually grow and concentrate healing from things have affected me throughout my life. My view is that healing is not a quick fix an cannot be rushed, neither by myself nor by any other person. My motto, “One Spoon At A Time🥄” is something that I try to apply to every part of my life whether trying to achieve a goal or healing from trauma. The trauma that I have experienced is from events that happened in my childhood, some added from the battles I’ve had to face with my chronic illnesses and some that actually happen to be from other people, being the highly sensitive empath that I am I’ve l picked up a lot of baggage during my time so far on Earth. I’m going through assessments for my mental health and have a support worker that I speak with regularly.